Our lengthy list of where to get your boil and fried fish fix. Though many might consider Saints football a religion, New Orleans is actually a predominately Catholic city. And this time of year, many restaurants offer Lenten specials to appease those following the doctrine that meat (with the exception of seafood) should not be consumed on Ash Wednesday, Good Friday, and all Fridays during Lent. 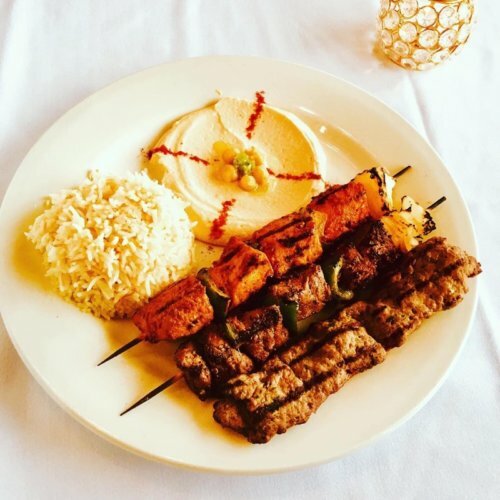 A little background info: although it’s deeply personal and holds different meanings for everyone, the idea of not consuming meat stems from the fact that meat is usually served as part of a feast, or celebration. And since Jesus’ crucifixion happened on a Friday, abstaining from meat is just one small way of showing respect. But what’s important to know is that those of all religious backgrounds can enjoy the bounty of New Orleans’ crawfish and fried fish served throughout Lent and throughout crawfish season. After all, this is New Orleans – a city that takes its seafood (and faith) pretty seriously. 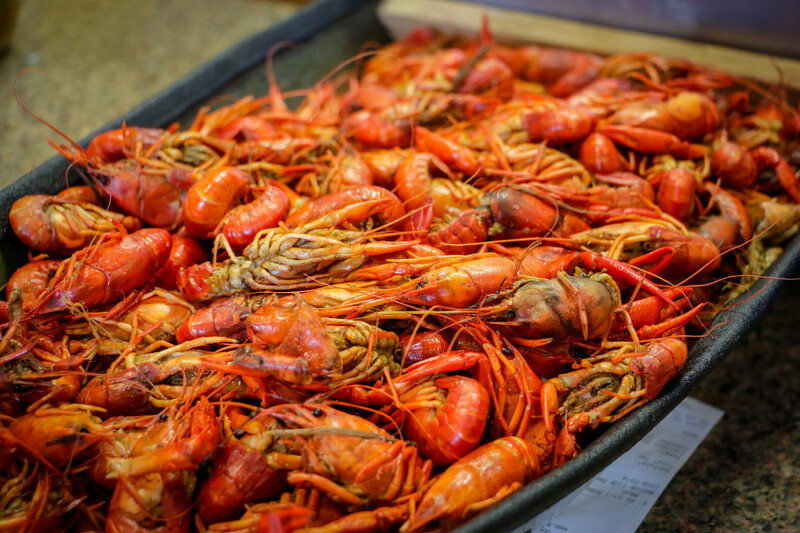 Bevi Seafood Co. – With locations in Mid-City and Metairie, this neighborhood seafood market has live and boiled crawfish for purchase all throughout the season. Did I mention that they also offer live sacks and cater on-site for parties of 50-500? 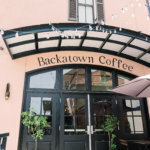 Wrong Iron on the Greenway – New to Mid-City, this beer/wine/cocktail garden on Bayou St. John is gaining lots of hype, and for good reason! Boiled crawfish is available during the season every Friday starting at 5 p.m. and Saturday and Sunday starting at 1 p.m. until they run out. Check their Facebook page for pricing each Friday. 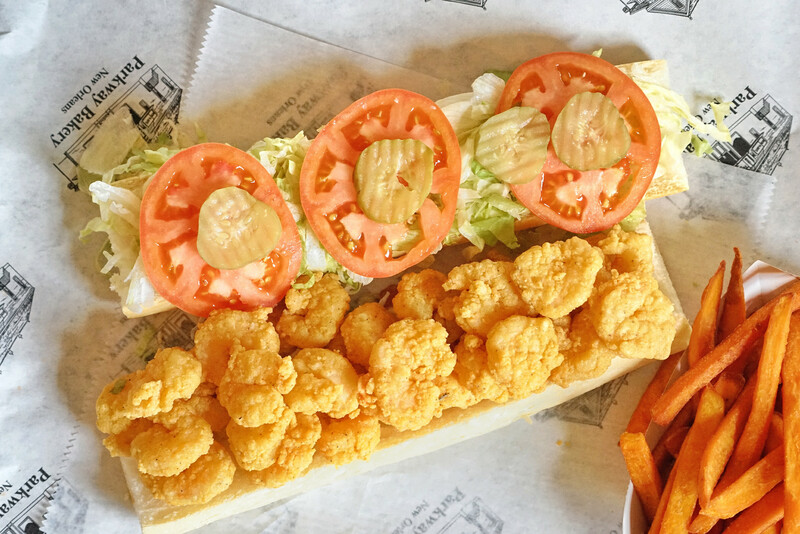 Seither’s Seafood – If you head down River Road to Harahan, you’ll stumble upon this casual spot known for their excellent seafood and their award-winning po-boys. Boiled crawfish is served Tuesday-Thursday 11 a.m. to 8 p.m., Friday 11 a.m. to 9 p.m., and Saturday 4 p.m. to 9 p.m. 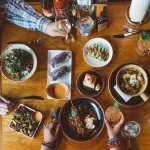 BOIL Seafood House – This is one of the few places you can find Vietnamese-style boiled crawfish where the seasoning is on the outside of the shell, allowing customers to choose from a variety of flavors and spice levels. Customized crawfish coming up! 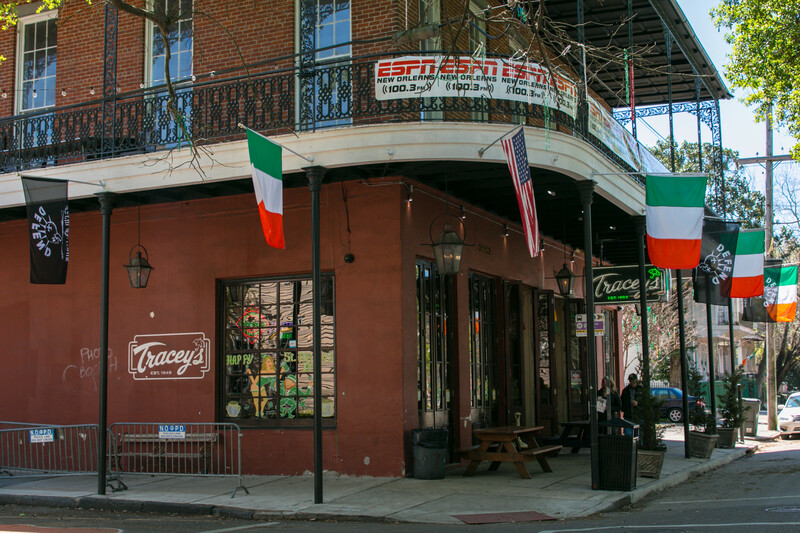 Tracey’s – If you want to eat crawfish all weekend, Tracey’s is boiling them up Friday through Sunday, $22 for 3 pounds with corn and potatoes and $1 extra for sausage or dipping sauce. Be sure to get there early, because the first batch is usually done around noon. Wash those ‘dads down with one of their many beers on tap. Schaefer & Rusich Seafood – Located in Bucktown and a stones throw from the marina, this is where locals have come for fresh seafood for 50 years. Keep up with what’s available on their Facebook page, and bring cash. There are no tables, so this is the spot for grab and go. Big Fisherman – Everyone Uptown knows this spot on Magazine Street. Boiled crawfish are available by the pound, but you’ll need to call for pricing. Closed Tuesdays and Wednesdays. Grab a crawfish pie while you’re there! 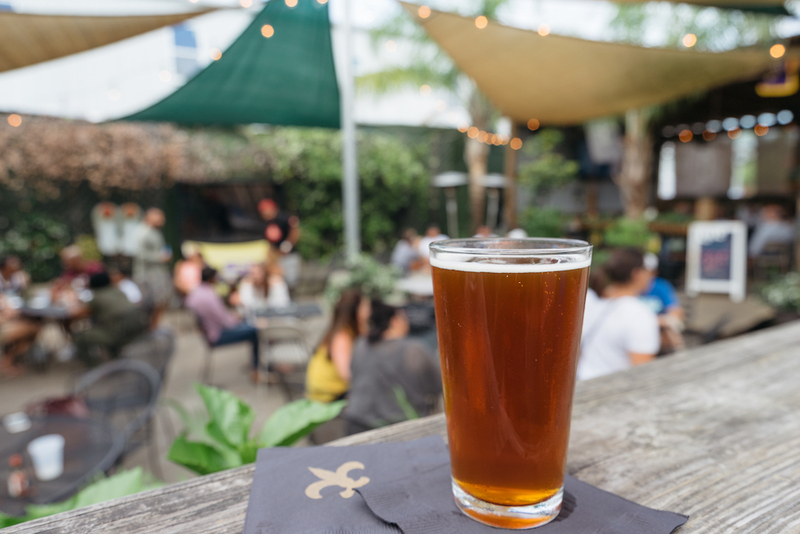 Bayou Beer Garden – Mid-City’s beer haven with more than 150 beers to choose from holds boils on Thursdays and Fridays at 3:00 p.m. and Saturdays and Sundays at 1 p.m. And at $14 for 3 pounds plus fixings, you can afford to eat crawfish all weekend long! 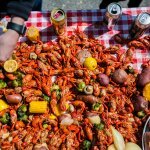 Mid-City Yacht Club – Fresh air, crawfish, and beer – is there anything better in life? Hang out on the patio at this family-friendly Mid-City gem and peel away. Boils are held every Friday beginning at 4:30 p.m. during the season until Jazz Fest time. Deanie’s – With locations in Bucktown, the French Quarter, and the Lower Garden District on Magazine Street, plus a vote for best seafood in New Orleans by Gambit Weekly and The Times-Picayune, it’s safe to say that Deanie’s hot boiled seafood platters (including crawfish) should not be missed. Open seven days a week. Maple Leaf Bar – With crawfish boils every Sunday courtesy of Harahan’s Seither’s Seafood, local musicians join in to play some tunes. 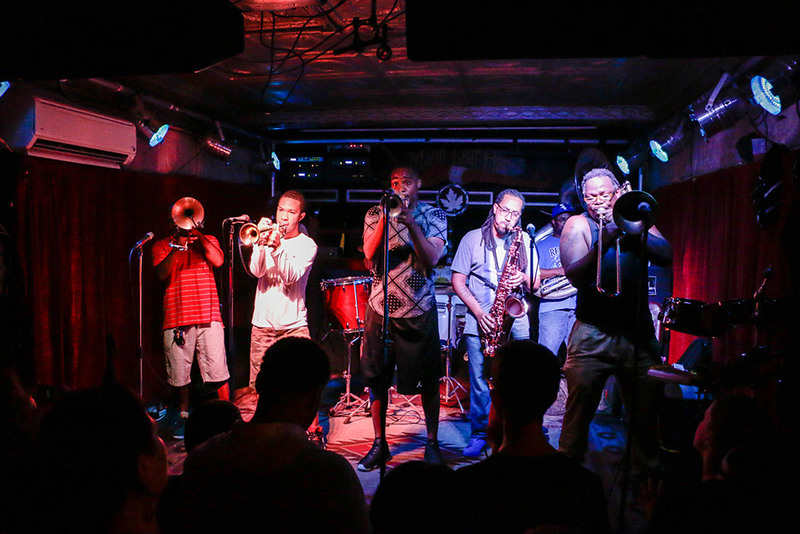 Visit this Oak Street bar and live music venue and see what all the fuss is about. Frankie and Johnny’s – Established in 1942, this Uptown neighborhood seafood restaurant even has a crawfish as part of their logo. When in season, crawfish are boiled and on the menu seven days a week. Cosimo’s – Bring your dog and belly up to the bar at this French Quarter hangout. Crawfish is served every Tuesday during the season. The crawdads sell out fast, so plan to get there between 4 and 5 p.m to load up. And don’t miss trying one of their famous Bloody Marys. Parkway Tavern – Located just a block from the bayou, nothing says “springtime in New Orleans” like a picnic on Bayou St. John with fried shrimp or catfish po-boys and ice cold drinks from this neighborhood favorite. High Hat – Scoot on over to Freret Street for a basket of fried catfish, French fries, slaw, hush puppies, and house pickles. Try one of their pies for dessert! 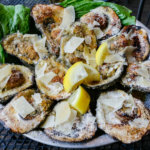 New Orleans Hamburger and Seafood Co. – Hop off the streetcar at St. Charles Avenue and Milan Street to feast on platters of fried shrimp, thin fried catfish, or oysters with hush puppies, slaw, and garlic-herb fries. The barbecue shrimp po-boy is baller, too. Moe’s BBQ – It might be odd to list a BBQ joint as a dining option during Lent, but hear me out: Moe’s BBQ on Calhoun has some of the best fried catfish in the city. The basket comes with battered and fried chunks of flaky catfish, hush puppies, your choice of two sides, and jalapeño cornbread. You’ll be a fan, I swear! Lenten fish fry events at local churches – During Lent, local fish frys are a popular way to unite people of all backgrounds. Some churches offering fry’s on Fridays are: Blessed Francis X. Seelos, Knights of Columbus Council 9107, Mater Dolorosa, St. David Catholic Church, and St. Mary of the Angels. Check with each church for more information, and consider making a donation while you’re there.